Your Move, Hero! 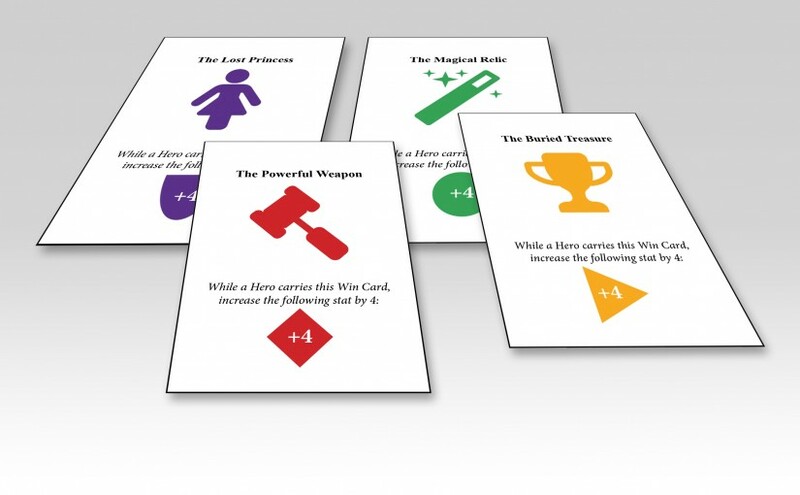 is a game I designed that allows you to choose your hero, race your friends through a dungeon filled with traps, puzzles, monsters, and riddles, and see who slays the monster, saves the princess, and get the treasure! Traditional tabletop pen and paper roleplaying games require a lot of setup, pieces, books, pencils, paper, and a large amount of time… but not any longer. Just get one to three of your friends together. Select a fledgling hero such as the fighter, the magician, the priest, or the thief… each of which having special advantages, and their own goals. Randomly setup the dungeon, and start! As you travel deeper into the dungeon – one room more dangerous than the next – your friends become your enemies… setting traps, creating puzzles, summoning monsters, and posing riddles to block your advancement. Who will be the first to win, and who will get out of the dungeon alive? Find out in Your Move, Hero!